This was such a fun book! It's light-hearted and definitely made me smile. It's a true romantic comedy. Gabby is quite the character. She is full of quirks as are the people around her. Gabby is a bit down on her luck and well, out of money. When she learns about this dating experiment she finally decides to give it a whirl because it pays and she needs the money. I liked Gabby and I liked that she didn't try to change herself to suit other people. I loved the GLA idea in this book. (Good Little Anything's) It's about doing small acts of kindness to lift and help other people and recognizing when others do it too. This should be a world wide "thing". Because seriously? This world could use more kindness every day. 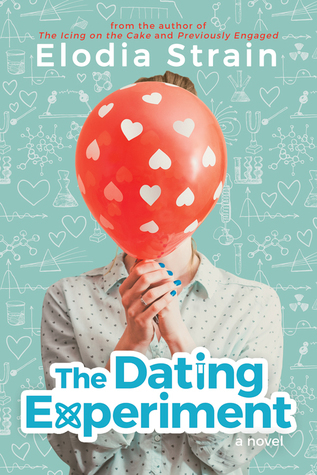 The road to true love is never easy and this book proves that but watching Gabby navigate her way through a series of very awkward and funny dates proved to be the perfect distraction for me. I had a lot of fun reading this book and I would recommend it to anyone who loves a good, clean romantic comedy. This book will make you happy. - I received a copy of this book from the publisher. A favorable was not required and all opinions expressed are my own.